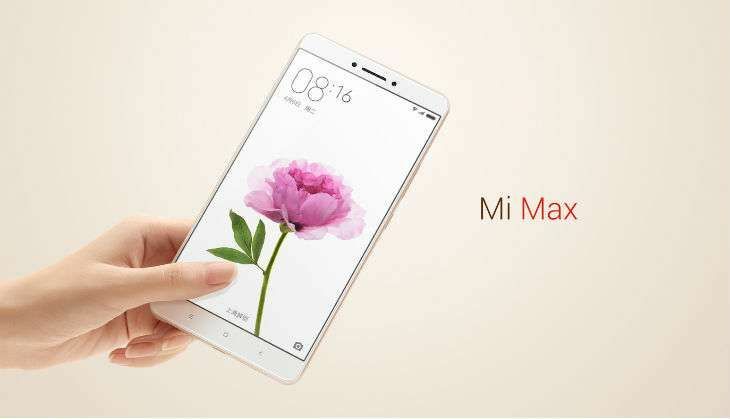 Chinese tech giant Xiaomi is all set to launch its next smartphone, the Mi Max, along with global ROM of MIUI 8 in India. The phone will go on sale from 6 July on mi.com, the official site of Xiaomi. The pre-registration begins right after the launch. The company also announced subscription to three months free movies, and one year of unlimited Hungama Play for the first one million buyers of the Mi Max. There is also a free subscription of Batman vs. Superman movie for first the 10,000 Mi Max users. The Xiaomi Mi Max was unveiled last month in China and was touted as the company's largest screen with its massive 6.44-inch full-HD (1080x1920) 342ppi specs. The price of the smartphone in India has not been revealed yet. However, the Mi Max is available in three different variants in China. The 3GB RAM and 32GB inbuilt memory model - powered by a 1.8GHz hexa-core Snapdragon 650 processor - is available at CNY 1,499 (roughly Rs 15,000) while the 3GB RAM and 64GB of storage model powered by a 1.8GHz octa-core Snapdragon 652 processor, is priced at CNY 1,699 (roughly Rs 17,000). The superior model with the 4GB RAM, 128GB inbuilt storage, and powered by Snapdragon 652 processor, is available at CNY 1,999 (roughly Rs 20,500). But, the company launched the 3GB RAM, 32 GB inbuilt memory model in India at Rs 14,999. The smartphone will be available in dark grey, gold, and silver colour variants. The company launched its Mi Community last week in the country. Xiaomi device users can share feedback and apply for passes for any of the company's events.